When Libyan assassins come to a small Vermont town, seeking revenge for a covert US Intelligence operation some thirty years ago, they find that this old man has a good deal left in the tank. 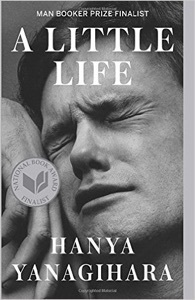 To a considerable degree, this is the companion of James Grady’s Six Days of The Condor – the song of Experience to the older book’s paean to innocence, not least because Perry finds a way to redeem the older thriller’s creepy but indispensable sequence of kidnapping and seduction. Plenty of loose ends remain at the end, but perhaps that’s part of the point: stuff goes wrong – often very wrong – and you try to continue with whatever you’ve got. The Sun Also Rises, it turns out, really happened. Hemingway took a bunch of jaded Parisian emigres fishing, and then took a bigger bunch to see the bullfights in Pamplona. They really did get into fist fights. They really did get into each others’ beds, and each other’s wallets. The stuff with the wineskins really happened. We don’t actually know that Hemingway had three martinis before lunch and then drank three bottles of wine himself, but there’s not a hell of a good reason to doubt it. 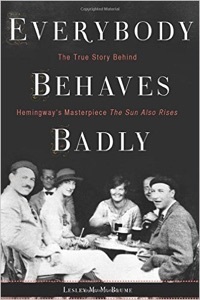 Lesley Blume has tracked down enormous detail about the months before and after this trip, months during which Hemingway’s first marriage broke up and Hemingway moved from promising but scarcely-published struggling artist to literary lion. 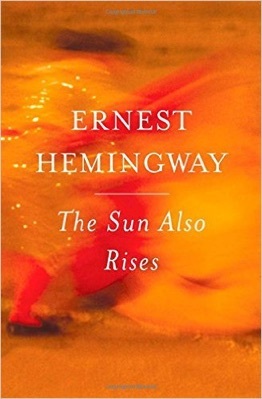 This is Hemingway’s masterpiece, and an important hole filled. It’s a nifty little book, though its spareness (which must have been striking in 1926) no longer comes as the shock it must have seemed then. 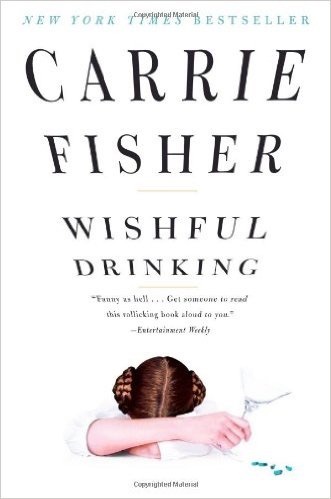 I’m less clear how surprising Brett, the woman in the case, really seemed when this book was new; she exercises sexual autonomy and regrets the narrator’s incapacity, and since this was two years before Lady Chatterly that incapacity was fresher then. Was Waugh thinking of this when he wrote Vile Bodies (1930)? 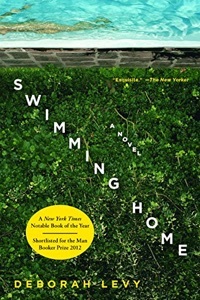 This weighty and much-praised book, a Booker nominee, recounts the friendship of four prosperous New York men – a lawyer, an actor, an artist, and an architect – over several decades. I have not been so giddily happy to see the end of a book since Little Dorrit, and that was back in 1973. 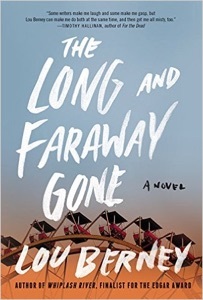 The characters are well drawn, the language is interesting without being self-consciously lyrical, but while there’s plenty of incident, there’s remarkably little story to propel this long, long character study. While the narrative spans decades, we’re focused so intensely on the changing characters that nothing much changes in the city or the world. The characters’ few changes are telegraphed long, long in advance, so they are in effect described before they are demonstrated. 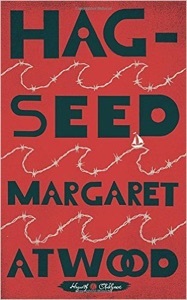 Latest in the stellar new Hogarth Shakespeare series, Margaret Atwood takes The Tempest and sets the story at a Canadian Shakespeare festival that is about to oust its brilliant, distracted director. He goes into a long, rural exile, alone with the memory of his dead three-year-old Miranda. Now, he’s teaching drama in a prison a thirsting for revenge. I snapped up this mystery after reading a New York Times column by Tana French (Dublin Murder Squad) in which French was asked for a list of the best contemporary crime writers. Kate Atkinson, Dennis Lehane, Stef Penney, Gillian Flynn, Laura Lippman, Megan Abbott — and two of my favorite up-and-comers are Jamie Mason and Elizabeth Little. 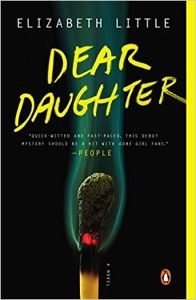 At first, this novel – a first-person caper about a Kardashian-like celebrity suspected of having murdered her ghastly mother – seems an unlikely choice. French draws characters quietly and with great care, while many of Little’s characters are off-the-rack. French cares a lot about setting, but here the twin ghost towns of Adeline and Ardelle could, give or take a tapped-out ore deposit, lie anywhere from North Dakota to Pedernales, from Vermont to Ouray. And yet, in the end, the book works. The character concepts may come straight from the department store, but they're nicely accessorized and, by the time we approach the finale, we’re actually going to miss some of them. 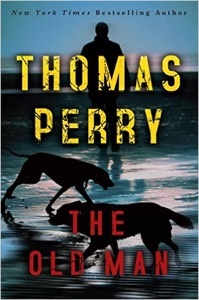 This Edgar Award-winning mystery is an accomplished formal experiment, a quadruple-mystery with a half twist. Wyatt, a private investigator, takes a quick trip from his Las Vegas base to his old home-town, Oklahoma City, to find out who is harassing the new owner of a local rock bar. Wyatt avoids Oklahoma City like the plague because, as a teenager, he'd been caught in the bloodbath of a movie theater robbery; he can’t resist looking into that as well. The poor guy has PI written on his sleeve, so much so that total strangers walk up to him and ask him to look into stuff for them. Wyatt unwisely tries to do a favor for one of these strangers. And then we have Julianne, a nurse who has nothing to do with Wyatt except that she, too, found herself at the edge of a terrible, mysterious crime in those long-ago days. On the whole, it’s done pretty well. Knitting together four braids is hard, and sometimes the seams show. Some of the red herrings aren't quite as interesting as they need to be, given the amount of business required to keep the machinery moving. Still, an exemplary story. 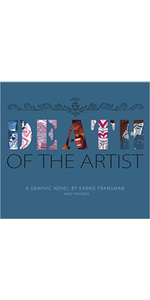 An accomplished graphic novel, the work of several hands, recounts a country week in which a group of young artists set to creating a graphic novel about the death of the artist. In the end, neither the artists nor we really come to grips with the absent artist, and the varied media employed – loose watercolors, photographic comics, contemporary high-style comic art – sometimes tug uneasily at each other. 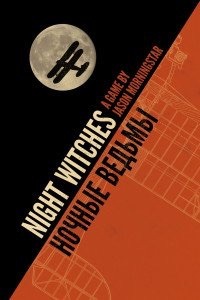 A table-top role playing game (and sophisticated study of the nature of narrative) by Jason Morningstar, author of the insightful narrative game Fiasco, which explores the dynamics of the caper movie, and Grey Ranks, a game about the Warsaw ghetto uprising that achieved things we did not think games could achieve. This is the story of the Soviet 588th Night Bomber Regiment, an all-woman force that flew more than 1000 combat mission against invading Germans. As in Grey Ranks, the outlook is grim: we are flying obsolete bombers against a superior enemy, our own Army despises us because we are women, and our government is perpetually suspicious of success and of failure. Amidst the brutal carnage and foolishness, we can perhaps find friends and lovers among the women of the regiment – but of course such particularity may be unsocialist revanchist perversion. Which officer of the 588th was in no condition to fly when the Regiment arrived in Trudgen Gornyaka? What is being done to keep livestock off the runway, and why isn’t it working? You’ve got to love this. We’re still early in the war, we’ve already got pilots in love with other pilots, pilots in love with their airplanes, the NKVD snooping around our beloved Captain, a critical shortage of gaskets. We’ve got the Germans. And now we’ve got goats on the runway! And there’s a Mysterious Reason that the goats keep getting onto the runway. Improv: go! Morningstar (along with fellow narratives game designers the Paul Czege and D. Vincent Baker) teaches us a lot about the interface between games, hypertext fiction, and old media. Booker-award nominee and early work by the author of the current sensation, Hot Milk. Two London couples (and a teenage daughter) share a villa in France. Beset by the usual woes – growing boredom, diminishing talent, looming bankruptcy – their uneasy friendships are strained when a stranger, Kitty Finch, turns up naked one morning in the swimming pool and is invited to stay. This ought to work. The writing is enviable. Somehow, I missed the turnoff. 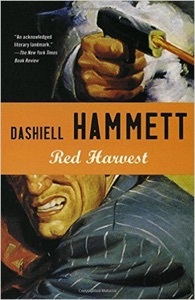 Hammett wrote The Maltese Falcon, which became a great movie, and The Thin Man, which spawned one of the first movie franchises, but this is his great novel. An operative of the Continental Agency (we never learn his name) is dispatched to Personville, California, a small city. People in the know call it Poisonville. His client is murdered before they can meet, and we begin single-handedly to wrest the town from the control of an unsavory league of industrial goons, booze smugglers, beer distributors, and a police department they jointly own. In the middle of everything is Dinah Brand, a woman whom everyone loves: the long line of her lovers soon includes the Continental Op, but that doesn’t change his plans. The body count is formidable, so high in fact that at one point the investigator himself goggles at the total. So many characters die so quickly that Hammett has a hell of a time helping us keep everyone straight. This is the novel that changed American mysteries and from which film noir springs. It ought to have been the start of a long line of books. Whiskey and Hollywood got in the way, but we’ll always have Poisonville. One day, Frederica learns that her father had been briefly married before he met Freddy’s mother, and finds the prospect of this mysterious, shadowy figure of his past fascinating. Then, the ex-wife comes to Deming to serve as the houseparent, and difficulties ensue. 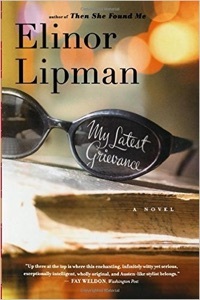 By the author of The Inn At Lake Devine, who is not to be confused with Laura Lippman, this was an especially fortunate find at the redoubtable Big Chicken Barn. In recent years, more than a thousand Americans who were serving long prison sentences have been freed because, as it turned out, they were demonstrably innocent. The criminal justice system is absurdly stacked against people who, for one reason or another, were wrongly convicted. It’s not enough to cast doubt on the conviction; in some states, convicts must show that no reasonable jury could possibly have convicted them. Convicts have had to sue to force the state to disclose that it possesses evidence that could exonerate them, and then must sue again to force the state to permit that evidence to be tested. Prisoners released on parole at the end of their sentence benefit from programs intended to prevent repeat offenses; because the exonerated never committed a crime in the first place, they can’t receive any of these benefits. This book offers a number of close looks at some people who spent a long time in prison for crimes with which they had nothing to do. Some of the people are remarkable. Many are worthy of emulation. 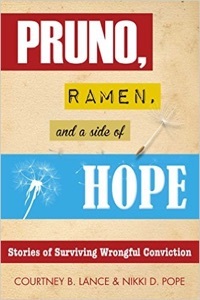 The book’s one flaw is that it lacks a call to action. Our treatment of exonerees is unjust; finding it so, we should put a stop to it. Where do we begin?